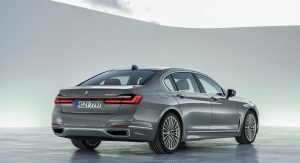 BMW might have ruled out building a 9-Series saloon that would sit atop the 7-Series in its lineup, but its ‘i’ range could grow with the launch of a full-size electric sedan tentatively dubbed the i7. 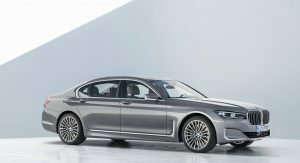 BMW Blog, citing unnamed sources, alleges that the i7 will be the company’s electric alternative to the 7-Series. If true, this means the vehicle would directly rival the upcoming Mercedes-Benz EQS, the electric sibling of the next-generation S-Class. 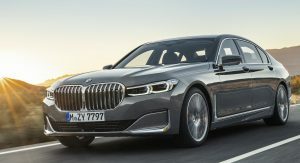 Few details about the vehicle are known, but if it is indeed similar in size to the 7-Series, BMW would have more than enough room to outfit it with a large battery pack and a powerful dual electric motor system. 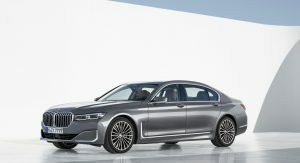 The automaker is apparently aiming for a WLTP range of at least 384 miles (600 km) and will make good use of its expertise in electric powertrains gained from racing in Formula E.
Like the ICE-powered BMW 7-Series, the i7 should be made available in a multitude of guises with varying levels of power, different ranges, and bespoke trim levels. Current reports assert that the vehicle could be launched as early as 2022, but this seems a bit too early. BMW’s next i model will be the advanced iNEXT crossover, which we’ve known about for well over a year, has already started testing and its production will commence in 2021. Additionally, an i4 sedan is also in the works. 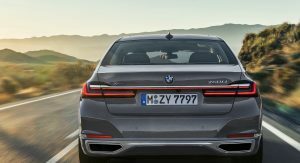 To launch an i7 in 2022, BMW would have to already be quite progressed with its development, and unless it’s creating the car in absolute secrecy, we’re not sure this is the case. To find out for sure, we’ve contacted BMW. However, as is usually the norm, they replied that they do not comment on rumor and speculation. ANOTHER GUTTED ICE. NOT VERY ORIGINAL. Since when car manufacturers make “originals” instead of making cars ? A FROM THE GROUND UP ELECTRIC LIKE TESLA PERHAPS. Car makers still have a responsibility to be profitable. Therefore if it is deemed that a platform that can accomodate both ICE and EV is the best solution for the market demand in this ‘transition’ period then so be it. 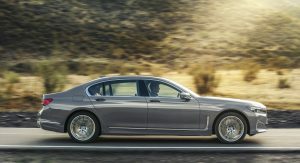 However it doesn’t actually state what platform design BMW would use for this car – so you are only speculating. Not every EV needs to look like an atrocious wannabe spaceship. Besides, it’s probably going to be far cheaper to build as opposed to having a dedicated assembly line purely for EVs. If you want the drag coefficient to be low, an EV based on a conventional ICE vehicle isn’t the way to go. I need to find where I read this… but with ICE cars, the most energy waste is through the drivetrain. With EV’s, the drivetrain is extremely efficient, but the most energy is wasted through air resistance. Which is why the model X looks like an egg, and the Model 3 has night rider wheel covers. Still, there is no excuse for making a car as ugly as a Prius. TBH I rather have a E-class body running on a battery pack than some BS, over designed special model. Why? Because repair costs if I get into an accident or need to replace a headlight bulb or anything inside the cabin or something goes wrong and then parts will be more readily available. I also don’t care for the looks of some of the BEV’s that car maker’s are planning or have released in concept form because they’re TOO out there. I love the look of the current E-class and wouldn’t be opposed to a BEV version and a lot of other drivers feel that way. That would also help reduce the cost of said EV and could help get more people into EV’s because if they like the visuals of the car then all you have to sell them on is the power source. Simply swapping out power plants for ICE and BEV’s is the key to making a truly mass market EV and will greatly help to expedite turning a profit on BEV’s. WELL YOU’LL HAVE PLENTY OF CHOICE GIVEN THAT’S THE EASY WAY TO DO IT AND SOME MANUFACTURES ARE GOING THAT ROUTE. I DON’T KNOW HOW HEADLIGHTS OR OTHER REPLACEMENT PARTS IN EV’S ARE ANY MORE EXPENSIVE THAN ANY OTHER CAR. IF I WERE BUYING AN EV I’D RATHER BE ABLE TO LIFT THE “HOOD” AND USE IT FOR STORAGE INSTEAD OF FINDING EV PARTS PUT THERE BECAUSE THE PLATFORM WASN’T DESIGNED FOR THAT PURPOSE.NOTHING WRONG WITH USING MANY DIFFERENT SOURCES OF POWER FOR A PLATFORM BUT DON’T CALL IT A TESLA FIGHTER. Have you seen how some Model 3’s are taking months to be repaired because parts aren’t readily available? That’s a strong possibility if a car is designed from the ground up to be an EV, but if you use an already established model as your base and roll out the EV version 12-24 months after the ICE you can build up supply of parts. 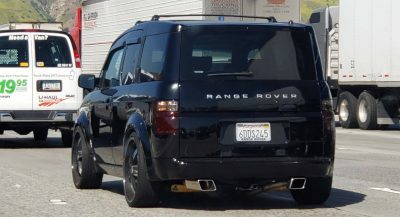 You avoid the risk of having to wait 6 months for a rear bumper after you backed into a pillar with yours or someone’s car rolled into yours by doing this. The Model S and X had the same problem when they first rolled out, the X wasn’t so bad but the S was pretty bad, but so far the 3 has been the worst. So designing a car from the ground up simply because it doesn’t use an ICE is a huge waste of money and runs a few more risks than traditional models. 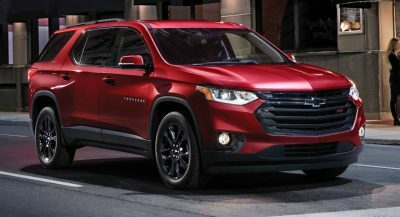 Right now EV’s also aren’t flying off the shelves if they aren’t priced right and even then they’re still not flying off the shelf compared to their ICE counterparts. The Model 3 owes most of it’s recent success to the tax credit expiring and Tesla’s push to get as money out the door as possible but already they’re seeing a slow down in orders and deliveries. Tesla even had to lay off a massive chunk of it’s delivery experience team because of it as well. That was after pulling people from other departments to help the delivery team get all the deliveries setup in time. A lot of platforms now are designed to be used for both EV and ICE. Look at the Kona, it can do both and while the packaging of the components isn’t the best, it’s a start and you’ve gotta start somewhere. Eventually they’ll get better at it but to be judging them so harshly for it right off the bat is a little unfair. Just because an EV doesn’t have a frunk doesn’t disqualify it from being a Tesla fighter either. There’s a lot more that goes into determining a Tesla fighter than storage space. I meant assembly, a little tired when i wrote this. I was just joking, since all of these cars use LEDs. And I assume the headlight assembly is well over $1000 each.